The 72004 Podium Ladder is ideal for working at fixed heights and is easier to manoeuvre than scaffolds or towers. The extra-large platform with toe guard feels like you are standing on the ground and 4X Work Zone allows you to work facing any direction. 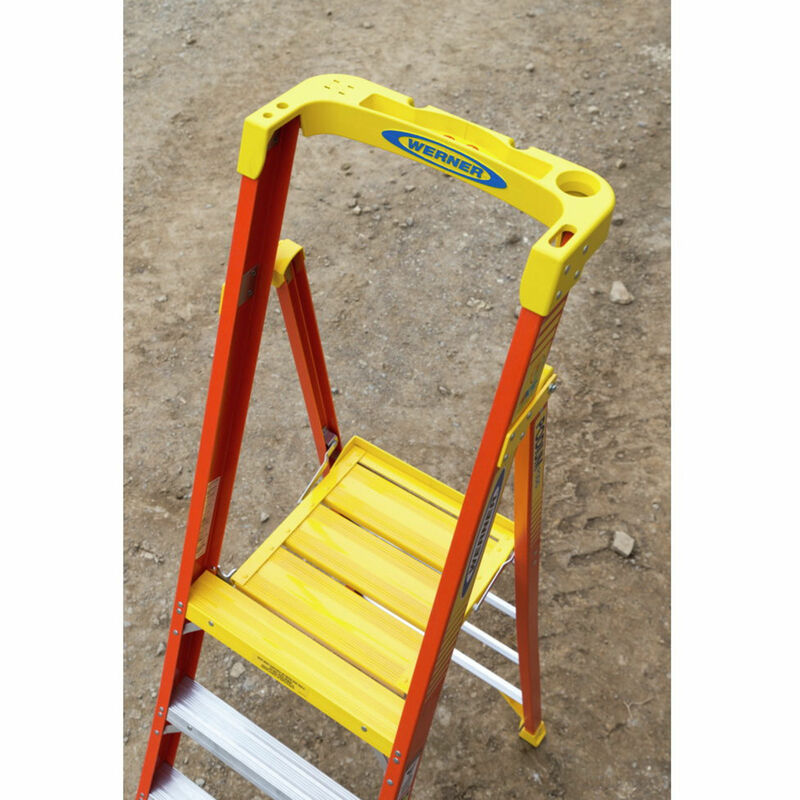 This ladder features full aluminium bracing and a full set of rear horizontals. The LOCKTOP extended guardrail provides an extra point of contact and conveniently organizes tools and accessories. 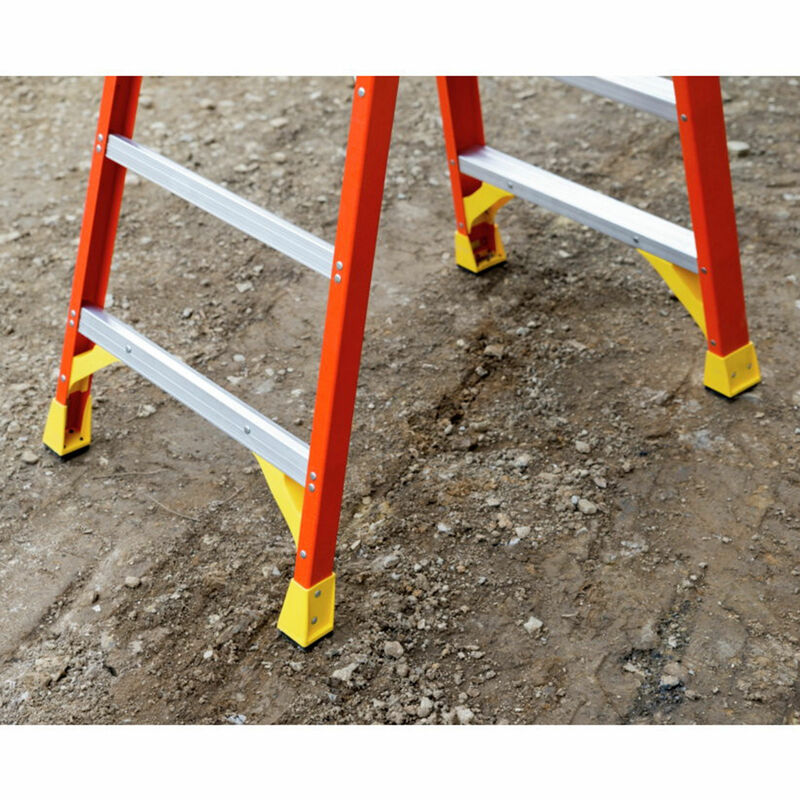 The EDGE360 gives the bottom of the ladder protection from every angle with integrated rail shield, EDGE bracing and over-sized foot pads.